We have made it to Belgium in one piece. 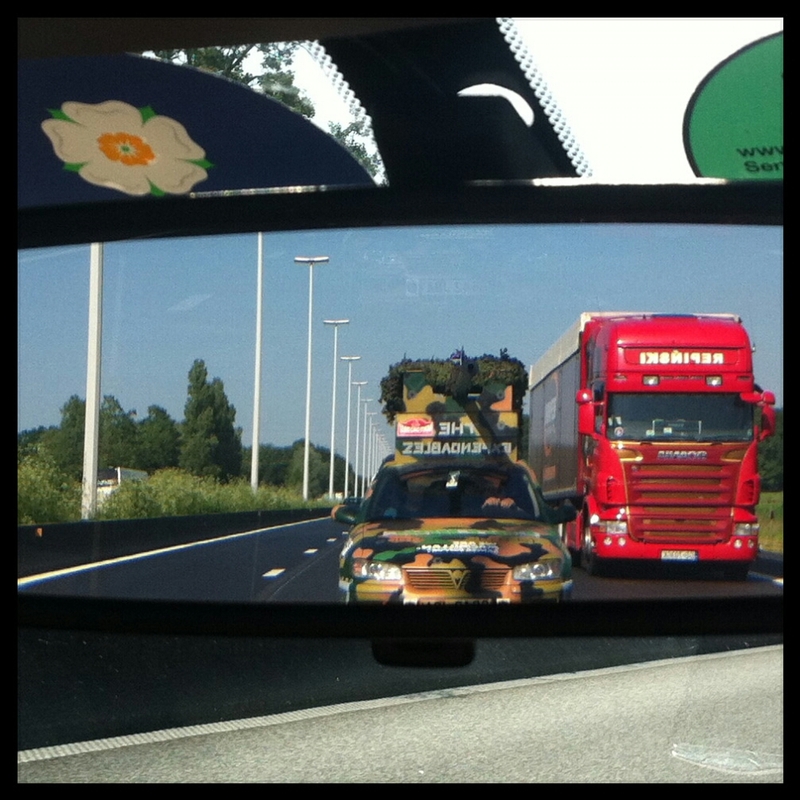 Met some guys from The Expendables on the boat, great lads from Harrogate, did a bit of the journey in convoy. They have taken a stretched limo and added a cannon, with 20 gallons of water in the boot someone is going to get a soaking! Now installed at Les Tanneurs which is great. Got another team parked outside too! Next stop is registration and we have already scouted that out!